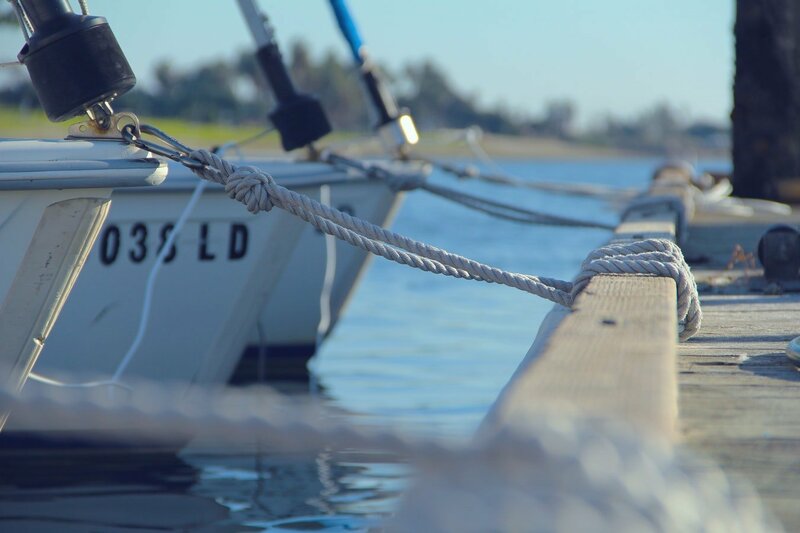 Mooring up to a pontoon or throwing your anchor in at a prime fishing spot will require a strong anchor rope dedicated for marine usage. 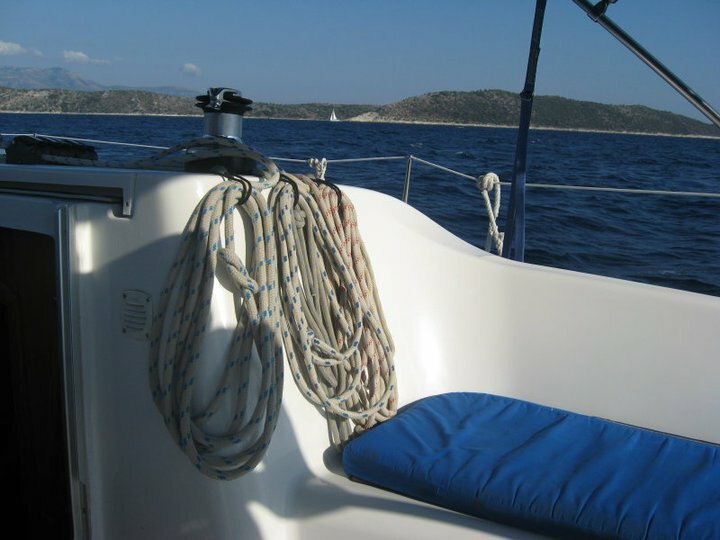 An anchor line usually consists of both a rope and chain, which connect the anchor to your vessel. The best anchor rope is the Norestar Braided Nylon Anchor Line that is designed to be heavy duty with a double braided nylon and stainless steel thimble for easy attachment of rope to shackle. 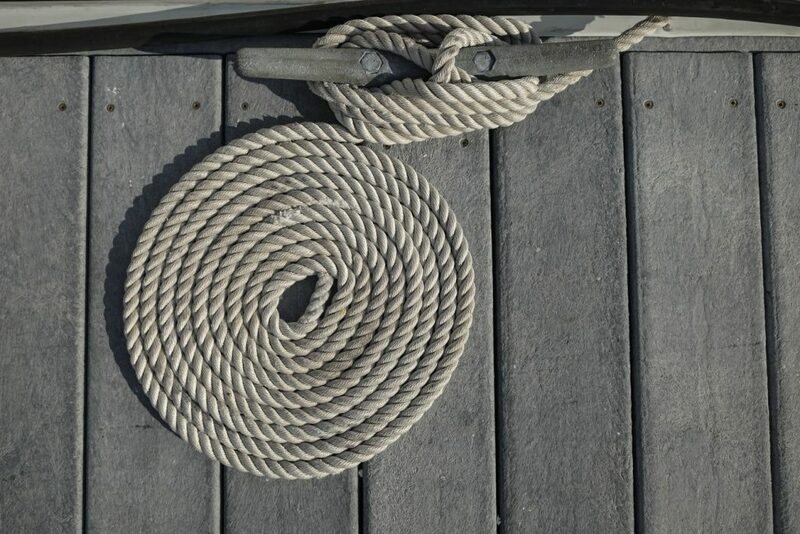 For the average boat, the amount of anchor rope you will need is approximately 8 feet per foot of water. On top of this, you will require 1/8″ diameter for every 9 feet of boat so that the rope has enough strength to hold the boat. 7.3 How Much Anchor Rope Do You Need? The most popular form of anchor rope is nylon as it has good strength, sinks, light, flexible and elastic for good shock absorption. The elasticity is also a drawback as the stretching creates heat, which is the core factor of the nylon eventually breaking down. The other major factor to consider is whether you want the anchor rope to be braided or twisted. Both are equally beneficial and it is primarily down to the personal preference of the boat owner. The anchor line is part of the complete setup that is known as the anchor rode, which is a combination of both the rope and chain that connects the anchor to your boat. 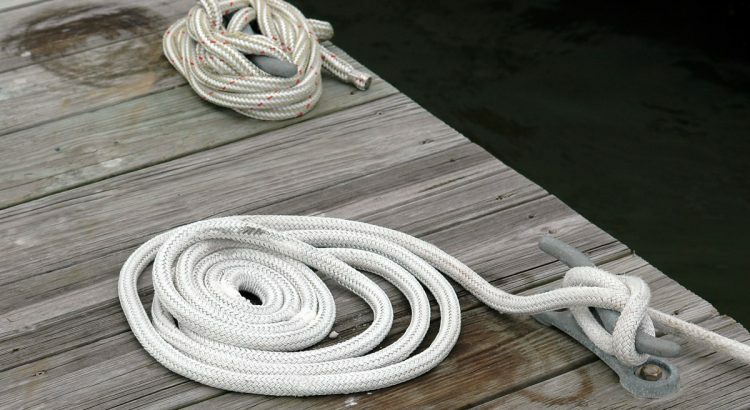 Below is a list of the best anchor ropes, which will provide a strong hold of your boat. The Nylon anchor rope by Norestar is designed to be heavy duty and is constructed with double braided nylon that gives it the superior strength compared to cheaper alternatives. This line also includes a professional spliced stainless steel thimble that provide easy attachment to your anchor or chain. It is fairly expensive but the Norestar is a high quality anchor rope with excellent strength and ideal for any anchor rode setup. Overall, the Norestar is the best anchor rope and there is a large number of lengths and diameters to choose from. All of the ropes are double braided and have the desirable stainless steel thimble at the end of the line. The Extreme Max is the cheaper alternative to the Norestar and has the same stainless steel thimble and double braided nylon construction. This anchor rope has a working limit of 870 LBS and breaking strength of 4,380 LBS but this of course varies on the diameter of the rope. It is a strong anchor line that is resistant to saltwater, gas, oil, mildew and resists UV rays much better than other cheaper alternatives. It is virtually the same as the Norestar rope, however the Extreme Max brand is not as well known as Norestar and for that reason, is not as popular. Extreme Max offer a limited lifetime warranty with this rope for peace of mind and makes it the best anchor rope for the money. There is also a great range of rope to choose from starting with a 1/2″ x 150′ all the way to 5/8″ x 600′. Attwood are a reputable marine brand and known for expensive product but not their anchor lines, this is in fact the cheapest within this article. It is a multi-filament polypropylene UV resistant floatable line. It is mass produced in a standard size (3/8″ diameter and 100 feet length) and will remain flexible throughout its lifetime. As it is not made using nylon, it has other benefits that include easy to handle, softer on the hands and much cheaper. As it is not made using heavy duty nylon, it won’t be as strong but the other benefits are somewhat desirable to other boat owners. Overall, it is a cheap anchor rope from a reputable brand and even has a thimble spliced into the rope at such low cost. For boat owners looking for a heavy duty anchor rope for their large vessel, this is the best buy. Constructed from high quality nylon that is 3/4 inch thick and 200 feet long, it is perfect for the majority of boats with a maximum breaking point of 12,592 LBS. The bitter end of the line has been heat sealed to prevent unraveling and the other end has a stainless steel thimble spliced into the rope. It is designed to be durable and is resistant to abrasion, chemical wear, moisture and all other weather effects. Overall, this is the best heavy duty anchor rope to buy that can be used everyday for many years to come. The only drawback to say would be the price but this is mainly due to the thickness and length but if you are on a budget, the Giantex is ideal. The Giantex is a twisted anchor rope instead of the above braided examples and offers an affordable option with a range of lengths available. As with the other alternatives, the Giantex also has a stainless steel thimble that is spliced into the nylon for easy attachment to the chain or anchor. Many poor quality twisted ropes will simply unravel but the Giantex has been “heat sealed” to prevent this from happening. It is a three strand construction and perfect for daily use for mooring your boat. As the anchor rope is not constructed with nylon or braided, it is very cheap but this does not mean it will fall apart. Overall, it is the best cheap twisted anchor rope that is strong enough to withstand up to 6,600 LBS of weight, which is perfect for the majority of boats on the water. If you are planning to moor your boat to a pontoon or ground it to a specific location, an anchor, anchor line and chain (also known as an anchor rode) will be required. For those that are unaware, the chain connects to the anchor to prevent the nylon rode of the anchor rope wearing down quickly. The chain is also much heavier, which prevents the top rated boat anchor that you just paid an arm and a leg for moving around and not doing its job. Of course, there is always drawbacks of any material and the elastic characteristic is both a benefit and drawback. It offers excellent shock absorption but the elasticity creates heat that eventually breaks down the nylon, which over time will need replacing. However, this is a small price to pay considering nylon is strong, lightweight and does not float on the water. Braided anchor rope offers additional strength and flexibility but for those that cut the rope, braided rope is much harder to splice. The twisted rope on the other hand is easier to splice, much cheaper to purchase and has more stretch but it is not as flexible and does kink from time to time. Braided anchor rope is preferred but for those on a budget, twisted is the low cost option. Braided is more expensive but the extra strength is a worthwhile investment. How Much Anchor Rope Do You Need? Many manufacturers provide a range of dimensions to cater for a whole range of boats and anchoring depths.